Experience beautiful view of Old Town at sunset. 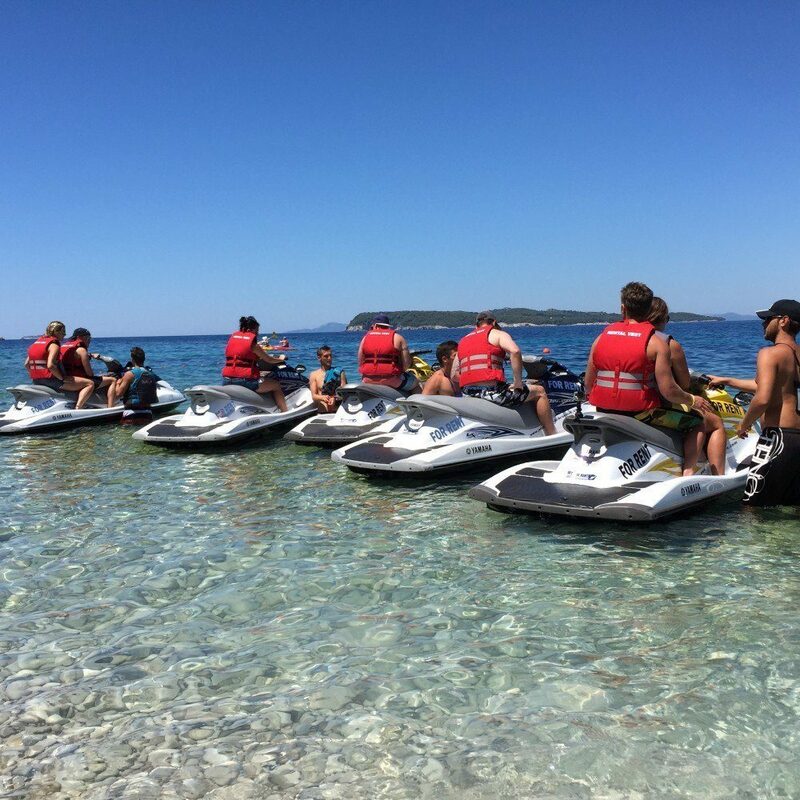 Jet ski safari is unforgettable ride with our professional guide/skipper. In these few hours he will show you everything worth visiting from the sea – hidden beaches, caves and beautiful islands. We start from your desired location/beach – jet ski transfers are free of charge. Koločep island, caves, Old Town Port, Lovrijenac, riding close to The Old Town Walls and Lokrum. Koločep island, caves, Old Town Port, Lopud – The Šunj beach, Lovrijenac, riding close to The Old Town Walls and Lokrum. Koločep island, caves, Old Town Port, Lopud – the town, Lopud – The Šunj beach, Lovrijenac, riding close to The Old Town Walls and Lokrum. Koločep, caves, The Old Town port, Lovrijenac, sunset with the Old Town view and Lokrum. Fuel, life jackets and driving instructions are included in the price. If you wish we can also arrange a meal in one of our great restaurants on the islands or near sea.